GELSO E PELLIZZARO S.N.C. 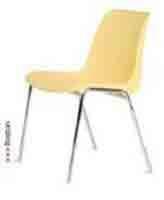 DI GELSO GRAZIELLA MARIA & C., Tables and chairs, braze-welding, metal bending, on EUROPAGES. GELSO E PELLIZZARO S.N.C. DI GELSO GRAZIELLA MARIA & C.
EUROPAGES > Tables and chairs > GELSO E PELLIZZARO S.N.C. DI GELSO GRAZIELLA MARIA & C.
Manufacturing company specialises in working with steel and aluminium tube for the construction of chairs and metal structures. Gelso e Pellizzaro snc has been established in Longio for over 30 years, making chairs for a vast market that extends far beyond the boundaries of Italy and even Europe. Your request for information has been sent to: GELSO E PELLIZZARO S.N.C. DI GELSO GRAZIELLA MARIA & C.